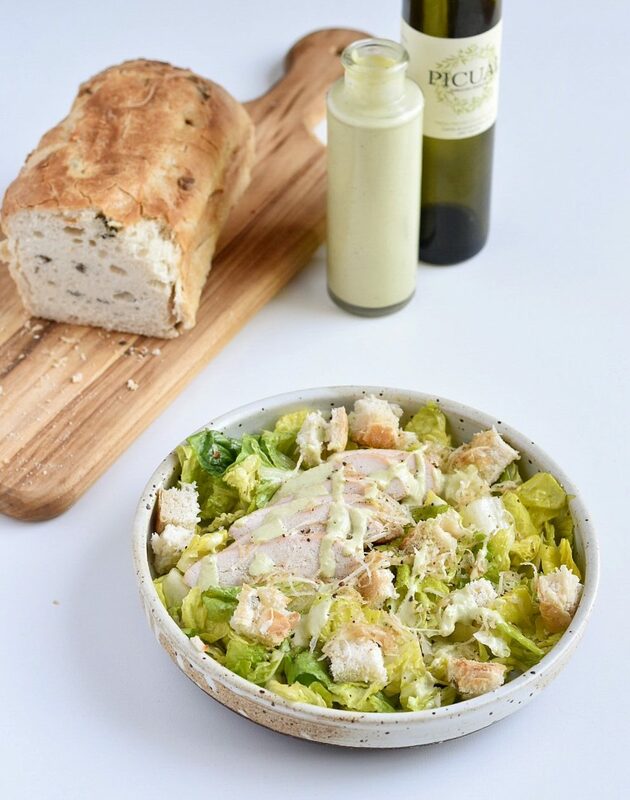 This Raw Caesar Salad recipe was definitely inspired by my Immune Boosting Dressing, which is one of my all time favorite dressings that I make. 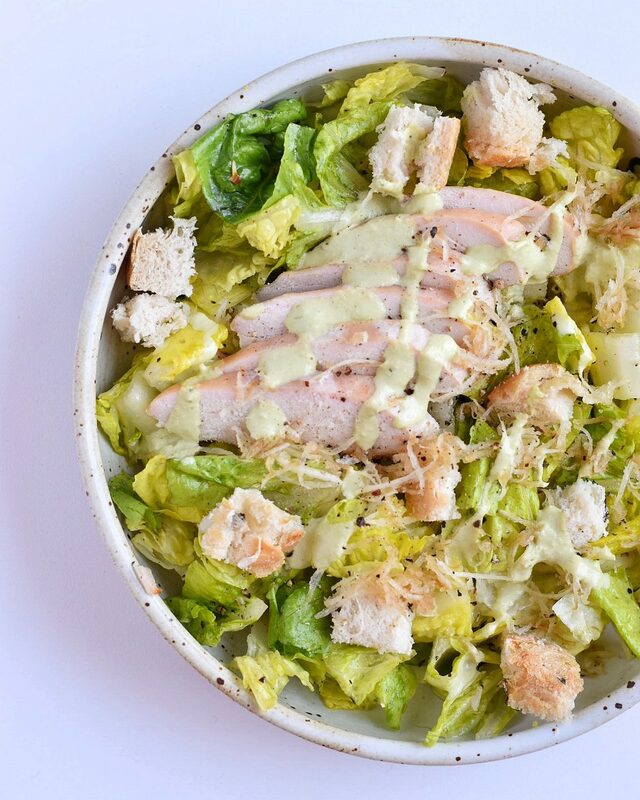 For a while I just called it my lemony garlicky dressing, caesar dressing, and finally decided that Immune Boosting Dressing was most fitting since it is super detoxifying and a great immune boost! Check out that recipe here. 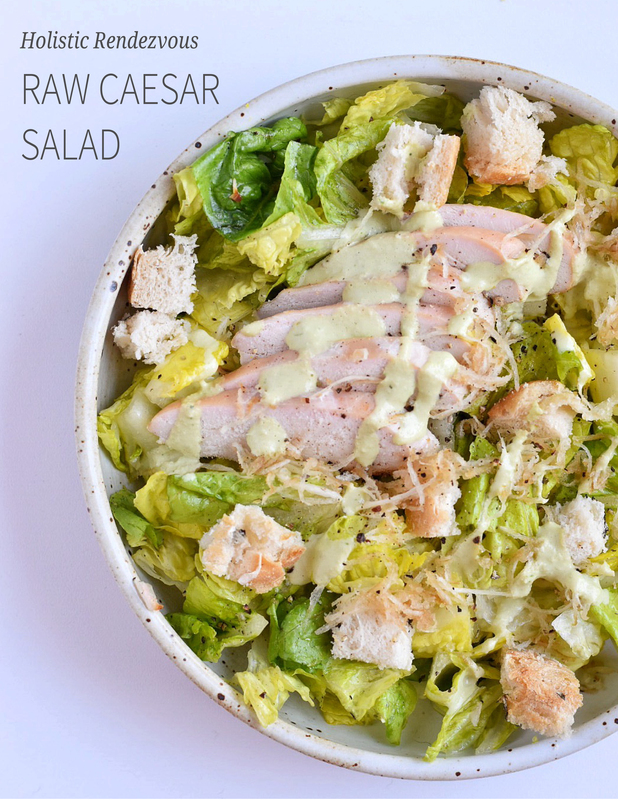 As I stated above this Raw Caesar salad was completely inspired by this dressing, which I almost named a raw caesar dressing! 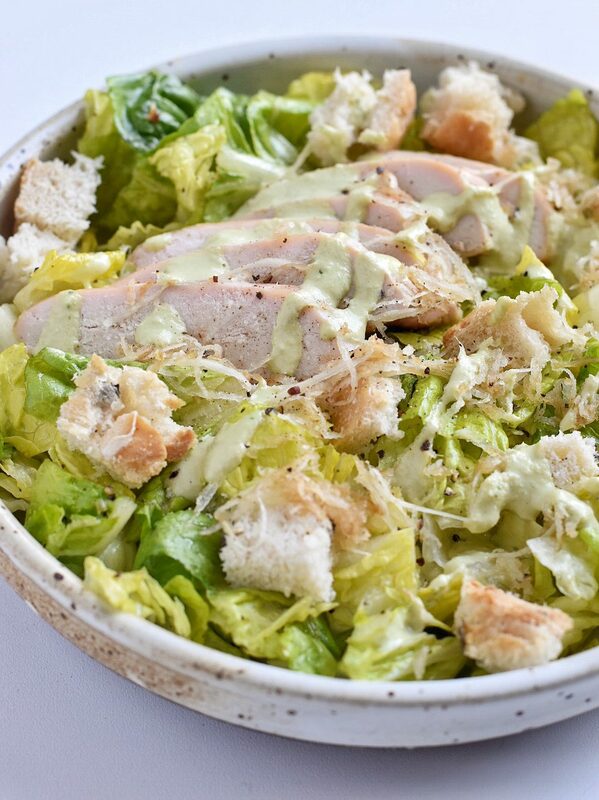 Clearly, something about this dressing reminded me a lot of a caesar salad, so I finally made this super simple recipe! This was super quick to throw together because I had food-prepped chicken and had some frozen Legit Bread! If you are paleo or have food sensitivities, this bread is amazing. Grab some here! This made it so simple to grab a healthy and quick lunch on the go. I typically would also add some quinoa or other roasted vegetables to the meal instead of the ‘croutons,’ but I wanted to make this super authentic. I even added some organic raw parmesan cheese because I tolerate dairy well! I also love adding my Green Goddess Dressing Recipe to this as well, so try them both and see which you like the best! 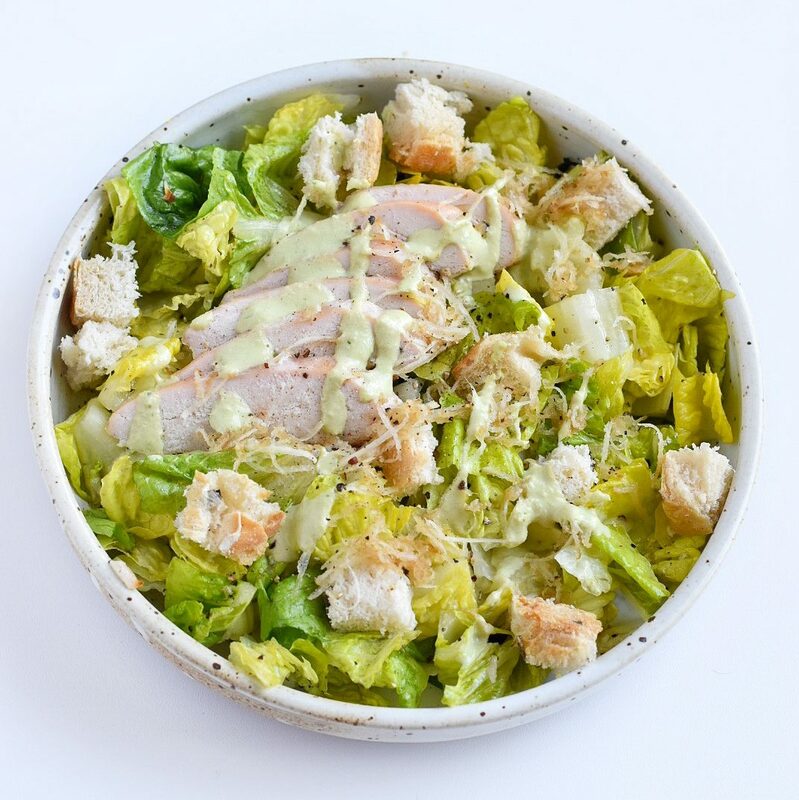 Top with chicken, paleo croutons, and raw parmesan cheese! 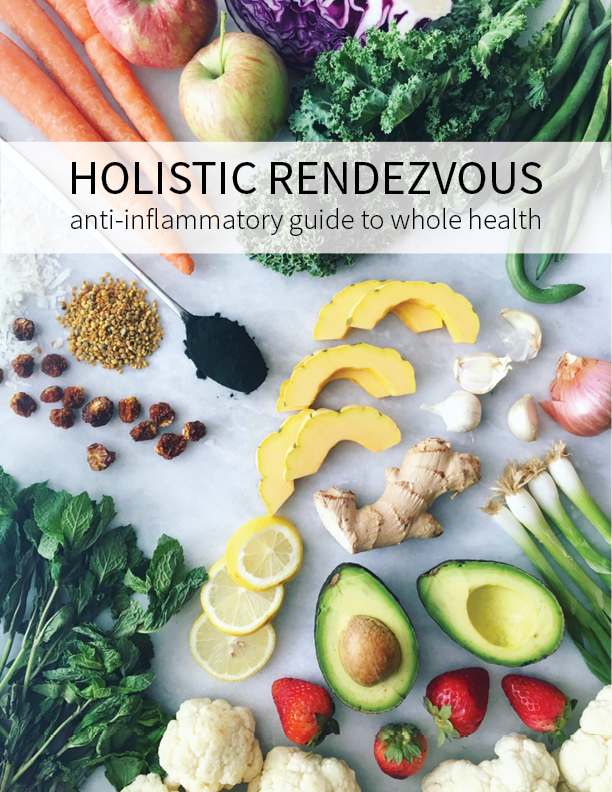 You guys know that I love when you make and share my recipes so don’t forget to comment below or post a photo using the hashtag #holisticrendezvous and tagging @holisticrendezvous !